2004 Isuzu rodeo is a good running vehicle. My rodeo runs very well and we have had very little mechanical problems with it. There are only two issues that make it a little less than an ideal vehicle. It does not get very good gas mileage (I have traveled back and forth to Delaware from Georgia about 10 times in the last year) and it uses oil. I have to make sure to keep constant check to make sure it is not too low on oil. Other than that, this has been a very good running vehicle. Great vehicle! Rodeo all the way! My vehicle runs great. Do not really have any problems out of it. The only bad thing is, it is a gas guzzler when the air is on. When the air is off, it is great on gas. Gets me to where I need to go. I can go almost 2 hours with 10$ in the gas tank. Great room. I have even picked up a dresser in it. The seats in the back lay down. 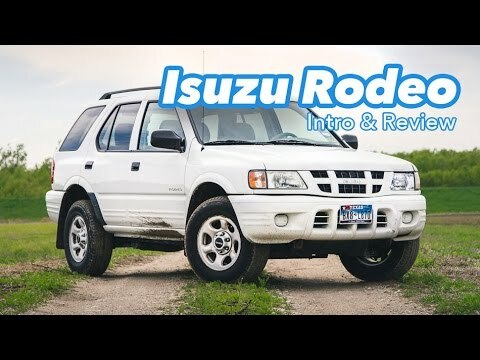 Isuzu rodeo is a practical and kind of fun vehicle to drive. There is no transmission dipstick. Have to check it underneath the vehicle. You practically have to drain the transmission. It has a lot of room to haul whatever, does not look like a soccer mom van, although it does not get very good gas mileage. All in all, a good vehicle. Isuzu Manufacturing Services of America, Inc (Isuzu) is recalling certain model year 2003-2004 Rodeo and Axiom, and 2003 Rodeo Sport vehicles that were originally sold in, or are currently registered in, Maine, New Hampshire, Vermont, Massachusetts, Rhode Island, Connecticut, New York, New Jersey, Pennsylvania, Delaware, Maryland, the District of Columbia, West Virginia, Ohio, Indiana, Michigan, Illinois, Wisconsin, Minnesota, Iowa, Kentucky and Missouri. These vehicles may experience excessive corrosion near the forward mounting point bracket for the left or right rear suspension lower link. The corrosion may allow the bracket to detach from the frame, impacting vehicle handling and increasing the risk of a crash.